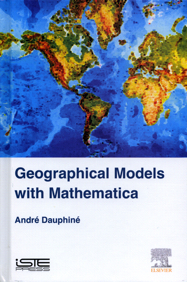 Geographical Models with Mathematica provides a fairly comprehensive overview of the types of models necessary for the development of new geographical knowledge, including stochastic models, models for data analysis, for geostatistics, for networks, for dynamic systems, for cellular automata and for multi-agent systems, all discussed in their theoretical context. The author then provides over 65 programs, written in the Mathematica language, that formalize these models. Case studies are provided to help the reader apply these programs to their own studies.